We are constantly under an influence of media promoting products that are promising tons of benefits, convenience and the ability to save us time. However very little attention is paid to health and safety of them. 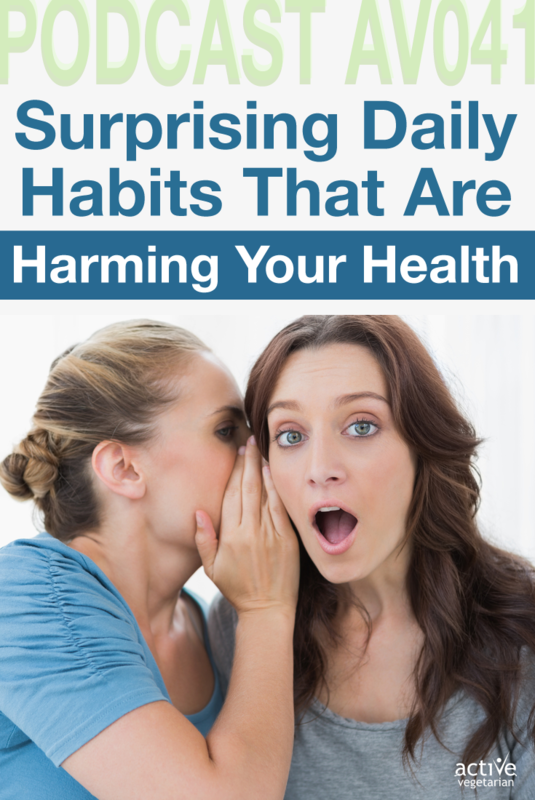 Before we know it some of the advice will even become deeply ingrained habits we think are doing us good, but are actually hindering our health! Below are ten of the most common daily habits that are actually wreaking havoc on people’s health and well-being. Lately, it seems that every supermarket has a hand-sanitizing station conveniently displayed near the doors. In fact, the trend of using hand sanitizers has really ramped up in recent years, with more people carrying around their own personal-size versions. And why not? Hand sanitizers seem like the perfect way to stay clean and disinfect on the go and don’t seem to have any downside. Unfortunately, there are some hidden downfalls lurking in supposedly “clean” hand sanitizers that could lead to trouble with regular and repeated use. Triclosan, a commonly used agent, is an endocrine disruptor that interferes with the proper functioning of vital hormones like thyroid. It is linked to detrimental effects on the nervous system as well as to allergies and asthma. Beyond its direct effect on your health, it may also contribute to antibiotic resistance. Triclosan can be absorbed through the skin and has been found in the urine of 75 percent of Americans sampled. But for all of that risk, there’s not even sufficient evidence showing that it is effective. The FDA is working to review the research on triclosan and has concluded that it is no more effective than regular soap and water at removing bacteria and provides no additional benefits.However, it may take time to remove this ingredient from products on the market, so check labels to make sure you’re not exposing yourself to it. While not as convenient or trendy, getting back to basics and just using soap and water is really a better, time-tested way to clean your hands. But there are also natural hand sanitizers appearing on the market which don’t contain yucky chemicals. It’s always nice to support companies that create products that have ingredients in them that you can actually pronounce. There are few foods on the planet that offer absolutely zero nutritional value, and soda is one of them. I’m always surprised at how many people ask me if diet soda is really that bad for you. If you’re not convinced, here are some facts that hopefully will help you to ditch soda forever! Most energy bars are intended for very active people or for those who are serious about their workouts — some are intended as meal replacements. Some energy bars are more like candy bars, sneaking saturated fats,sugar and hydrogenated oils into their ingredients — the calories can be equal to a popular chocolate candy bars. Calorie to calorie, a Powerbar Protein Plus Chocolate Brownie energy bar, for example, has 360 calories while a Snickers bar, in comparison, has 250 calories. Unless you’re engaging in high-intensity training workouts, neither is a good snack option. Both have more sugar than most adults need in one day! Make sure the energy bars you enjoy on are snack-sized — that’s between 100 and 200 calories per bar — and keep the sugar and carbohydrates low. Compare nutrition labels to find natural, whole food bars. And if you’re engaging in high-intensity workouts, look for energy bars that deliver a good protein source. If you’re paying attention to eat well, don’t derail that healthy diet with sports drinks. Sports and energy drinks are popular among adults and teens, and in 2011, Americans spent roughly $9 billion on them [source: Johnson]. But what you’re getting is more sugar and more empty calories — for many people it’s more than what they’re burning (and that’s what leads to weight gain). Let’s look at two popular sports drinks. One bottle (20 ounces) of Powerade contains 125 calories and 34 grams of sugar, which is about 8 teaspoons of sugar. Compare that to 20 ounces of Gatorade, which contains 130 calories and 35 grams of sugar, about 8.3 teaspoons of sugar, and you’ll begin to see why nutritionists recommend water over sports drinks. Just like energy bars, sports drinks are designed for replenishing the bodies of athletes; if you’re not engaged in high-intensity activity, you can skip them. Stay hydrated with infused water, coconut water or make your own post workout recovery drink – check out this recipe. Words like “multigrain” “wheat” and “7 grain” don’t mean all that much. Many breads labeled this way actually contained refined grains, which lack the fiber of whole grains and can make your blood sugar spike faster after eating, leading to cravings. Be a smarter bread shopper! If the first flour listed on the label is refined (look for “bleached” or “unbleached enriched wheat flour”), it’s not really a whole grain product. Also don’t be fooled by the colour of the bread. Just because it’s nice and dark, doesn’t always mean it’s wholesome. Many companies use coloring and fillers (like molasses) to make their product appear “healthier”. Sneaky marketing, huh? INGREDIENTS: Whole wheat flour, water, wheat gluten, high fructose corn syrup, contains 2% of less of: soybean oil, salt, molasses, yeast, mono and diglycerides, exthoxylated mono and diglycerides, dough conditioners (sodium stearoyl lactylate, calcium iodate, calcium dioxide), datem, calcium sulfate, vinegar, yeast nutrient (ammonium sulfate), extracts of malted barley and corn, dicalcium phosphate, diammonium phosphate, calcium propionate (to retain freshness). Seriously what is diammonium phosphate and what is it doing in my bread??? Ingredients: Organic Sprouted Wheat, Filtered Water, Organic Sprouted Barley, Organic Sprouted Millet, Organic Malted Barley, Organic Sprouted Lentils, Organic Sprouted Soybeans, Organic Sprouted Spelt, Fresh Yeast, Organic Wheat Gluten, Sea Salt. Reading the nutrition label on your jar of peanut butter may surprise you — it’s a go-to food in many homes in North America, and it’s also high in calories and fat. Don’t let those two things stop you from indulging, though. Just be smart about the type you do eat. Reduced-fat peanut butters may sound like a good idea. Less fat is good, right? 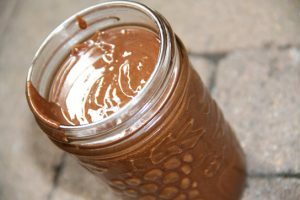 The trouble with reduced-fat peanut butters is they usually make up for their loss with added sugar, which is not an improved trade over fat. Two tablespoons of Skippy creamy peanut butter, for example, contains 16 grams of total fat and 3 grams of sugars, while the reduced-fat version has 12 grams of total fat and 4 grams of sugars. Too much sugar in your diet can lead to insulin sensitivity or high blood sugar, which may lead to type 2 diabetes and other health problems. The best nut butters are the most natural. People often complain that natural peanut butter is not as ceamy. Realy? Well there is a reason for that. For you to enjoy the “creaminess” you are also ingesting whole bunch of crap!!!! INGREDIENTS: ROASTED PEANUTS, CORN SYRUP SOLIDS, SUGAR, SOY PROTEIN, SALT, HYDROGENATED VEGETABLE OILS (COTTONSEED, SOYBEAN AND RAPESEED) TO PREVENT SEPARATION, MONO AND DIGLYCERIDES, MINERALS (MAGNESIUM OXIDE, ZINC OXIDE, FERRIC ORTHOPHOSPHATE, COPPER SULFATE), VITAMINS (NIACINAMIDE, PYRIDOXIDE HYDROCHLORIDE, FOLIC ADIC). …and liquid fabric softener are full of toxic chemicals. Chemicals that sneak it’s way into the clothes we wear, which in turn get on our skin and absorbed into our body. Time to ditch dryer sheets! Since fabric softeners are designed to stay in your clothes for extended periods of time, such chemicals can seep out gradually and be inhaled or absorbed directly through the skin. Liquid fabric softeners are slightly preferable to dryer sheets, as the chemicals in dryer sheets get released into the air when they are heated up in the dryer and can pose a respiratory health risk to people both inside and outside the home. Add 1/4-1/2 cup of vinegar to your wash.
Use wool balls (where to buy) to use in place of dryer sheets. You can add a safety pin to the wool ball to also help with the static. Make your own. Grab a cloth, spray vinegar or essential oils such as lemon or lavender (where to buy therapeutic grade essential oils) and toss in the dryer with your clothing. Additionally, you can add a safety pin as well. Lastly, if you feel that you still need to buy some dryer sheets, there are a number of green fabric softeners (where to buy) on the market that are made with natural scents or are scent-free. Did you know that many PVC (plastic) shower curtains contains nasty chemicals that can be released into the air? Yes you read it correctly many shower curtains and shower curtain liners are made with polyvinyl chloride (PVC) plastic, which contains a number of toxic chemicals. If your shower curtain has that “new shower curtain smell,” you can be pretty sure that it was made with PVC. The chemicals released , may cause respiratory irritation; damage to the central nervous system, liver and kidneys; nausea, headaches, and lack of coordination. The most common symptoms that occur with exposure to such chemicals include eye irritation, nose and throat discomfort, breathing problems, allergic skin reactions, headache, nausea, vomiting, fatigue, dizziness and nosebleeds. The solution is to avoid shower curtains and liners made with PVCs. Instead, look for PVC-free shower curtains, which are widely available. A number of major retailers plan to offer more PVC-free shower curtains and two, Ikea and Marks & Spencer, are switching over to PVC-free products. You can also find products made out of organic cotton and hemp. Many name-brand toothpastes and mouthwashes contain potentially harmful ingredients, which are made up of very small molecules that may penetrate through the tissue of your mouth, enter the blood stream, and build up in the liver, kidneys, heart, lungs, and tissues. Over time it can really add up and cost serious health challenges. Did you ever wonder why manufacturers are required to put the warning label on toothpastes? Ok enough scary info, what is our alternative? Health risks from chemicals and toxins in oral hygiene products are the most avoidable of all the health risks we face. You don’t have to be a biochemist to get these risks out of your life. It’s as simple as changing brands. Our favourite are Himalaya Herbal Complete Care of Teeth, Himalaya Herbal Hiora Mouth Wash and TheraBreath PLUS Toothpaste and Therabreath Oral Rinse. While its use is slowly being phased out, unless you’ve recently purchased cookware that is specifically labeled PFOA-free, then it’s likely that the nonstick pans in your kitchen are a source of this potentially dangerous chemical. PFOA and other hazardous toxins have been shown to be released from nonstick cookware when heated to high temperatures. Symptoms of Teflon flu are actually said to be quite similar to suddenly developing influenza, with headaches, chills and fever, along with coughing and chest tightness. While there are a growing number of new cookware options on the market, we don’t know enough about them to know if they’re safe — even if they’re advertised as “green” or “not non-stick.” We continue to recommend cast iron and stainless steel cookware as safer options for stove-top cooking, and oven-safe glass or SilPat non-stick mat for baking. These safer pans might be a little harder to clean, but your health is worth it. Alright, did we overwhelm you with all the info? Please don’t get scared and turn your back to what you have just learned. If you’ve made it all the way here I suspect you are interested in improving your own and your family’s well-being. You don’t need to aim for a complete transformation all at once. Small changes in your daily habits can make a big difference in your overall health. Thanks for the comment – and other points. This was just to name a few… this could definitely be a long, deep subject. We hope it can at least inspire others to reconsider what they put into their body as well as on their body. Cheers!